What do you get when you have an artist, a former art gallery owner and some mad teaching skills? You have VinoPaint! Learn to paint by one of the best in the business! 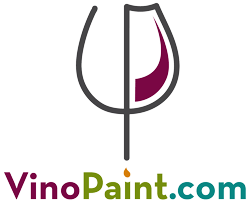 Fine artist, gallery owner and widely collected artist, Sonya Paz started VinoPaint in January 2015, Sonya has over 20 years as an experienced painter and designer who has developed her own product line based on her signature style and design. Now after many years of creating, she enjoys teaching large groups of people how to create while they socialize with friends and new communities! Sonya will be heading up these painting events to instruct you to create your own individual work of art in a fun, social wine and food environment. This creative business model also works wonderful for community involvement and fundraising event opportunities. Sonya is very active in her community and feels that giving back is key. There is a 25 person minimum to have us come out and produce an event for you! Owner and Founder, Sonya Paz is not new when it comes to the art world. She is a professional fine artist who has owned several of her own self represented art galleries and has built a successful art retail line. She enjoys teaching art to everyone through VinoPaint. After many years of creating, Sonya enjoys teaching large groups of people on creating while they socialize with friends and new communities! These painting events are designed to inspire you to create your own individual work of art in a fun, social wine and food environment. Join Us! Creation is contagious … what are you waiting for?